Posted on January 20, 2017 by Julie / This entry was posted in Quilting. Bookmark the permalink. Fiskars Cutting Mat, 12-Inch by 18-Inch. 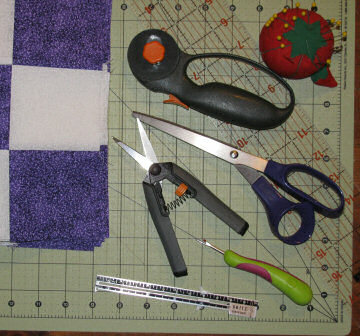 These simple, inexpensive tools and my 35-year-old Singer got me started on my quilting adventure. 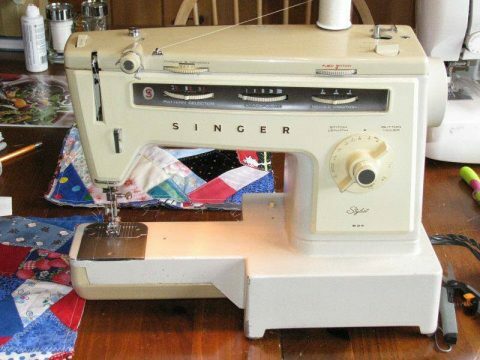 The only stitch you need to do quilting is a straight stitch, so even the most basic machine can be used to make a quilt. Your grandmother’s treadle will work, as well.